Food Truck: Little Lion Ice Cream Review – Wichita By E.B. 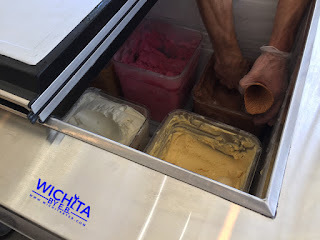 On our adventure to try as many food trucks in town as possible, we came across one that serves primarily ice cream. Considering this miserable hot weather, ice cream was right up our alley. That brought us to Little Lion Ice Cream whom you can Like on Facebook. 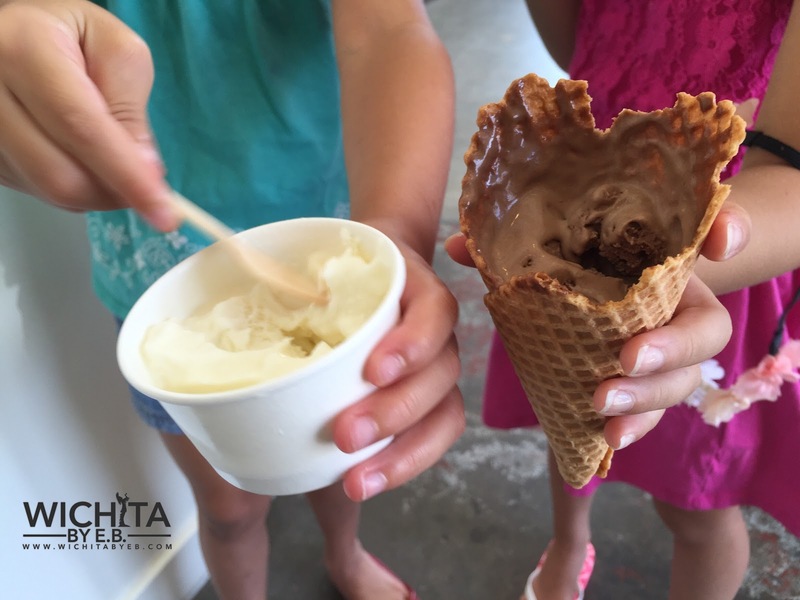 Little Lion Ice Cream is a little ice cream cart that sells locally-sourced ice cream. 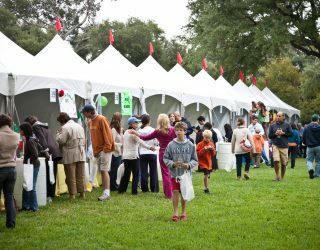 They can be found at many different food truck events, at the Food Truck Plaza, outside bookstores, anywhere. 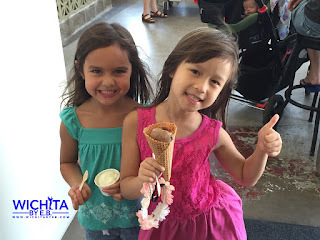 Any review that results in ice cream must involve the help of my two beautiful assistants also known as my nieces. Fortunately the day we went to try Little Lion Ice Cream they were set up inside Expresso To Go Go which kept us out of the heat. 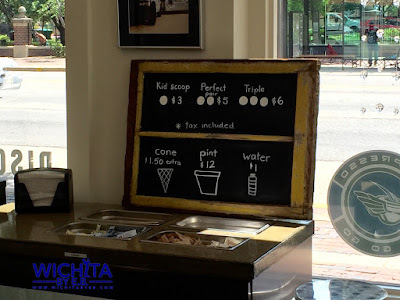 The pricing at Little Lion Ice Cream is very simple. $1.50 for a cone, $3 for a kids scoop, $5 for a double scoop and $6 for a triple scoop. Pints are also available for $12. 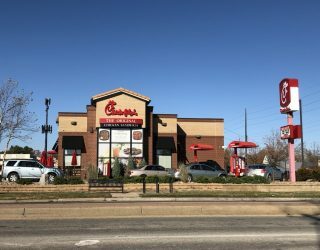 Just recently, they launched their pint sales. You can get Little Lion Ice Cream pints at either Espresso to Go Go location, anytime they’re open. 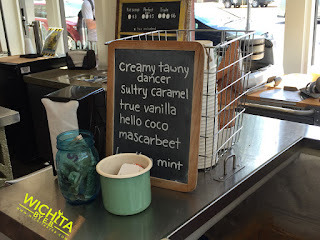 They had six different flavors when we stopped by and after sampling a couple options, my nieces ended up going with mint and coco. As a plus for myself, they had a lactose free option with their “hello coco” that was also gluten-free. They also make their waffle cones on site so they’re all fresh. While the kids got a mint ice cream in a pint and a coco in a waffle cone, I too went with the coco in a waffle cone. We all know that kids will love any ice cream they get as was the case with Little Lion Ice Cream. They loved it. I am no ice cream connoisseur given being lactose intolerant. I usually stick to shaved ice and sherbets on our cold treat trips. My experiences with lactose free ice cream are usually underwhelming. But the coco at Little Lion Ice Cream was so smooth, creamy and delicious. I was kicking myself for only getting one scoop. Honestly, some of the best lactose free ice cream I’ve ever had. I’ll be going back again soon; need to get myself a pint of that! 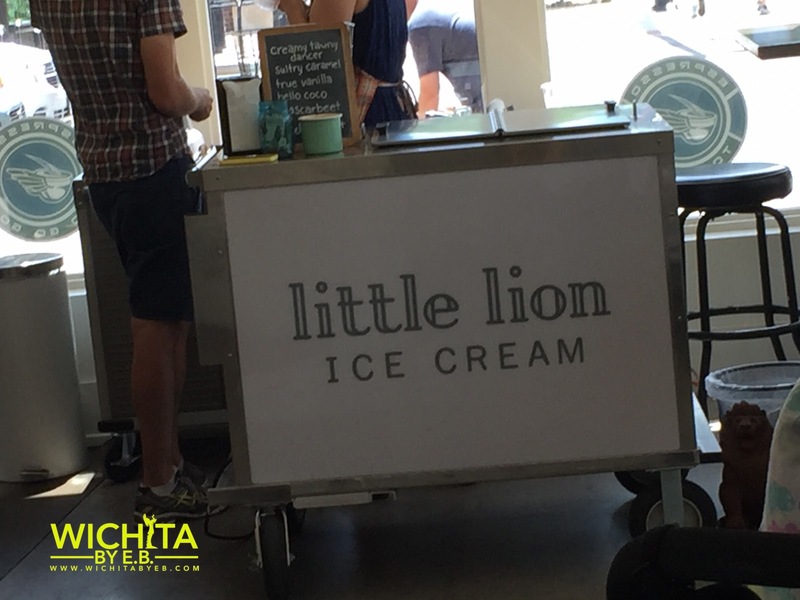 In a summer of extreme heat, be sure to add Little Lion Ice Cream to the list of stops for your cool desserts. You will NOT be disappointed. To add to the great ice cream, the couple who owns the ice cream cart were very nice and helpful; great interaction with the kids to make their visit more enjoyable.